Hell hath no fury like a woman scorned. It has become a trend for women to blast their spouses on social media to let the world know about their haggling. Joining the list of controversial Olinda Chapel and comedian Mai Titi is popular businessman Wicknell Chivayo’s wife Sonja Madzikanda. Barely a year ago, Madzikanda was enjoying the flashy life, taking trips and shopping sprees outside the country, something that comes along with being married to a wealthy tycoon. But it seems the marriage is no longer rosy. 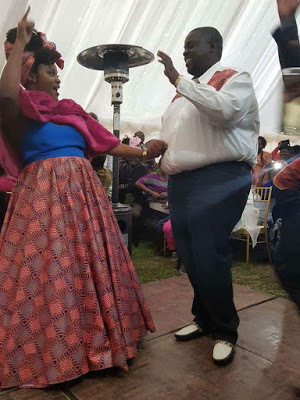 In a series of videos, Madzikanda blasted Chivayo and has accused him of infidelity and mistreating her. She narrated her story explaining how she had an encounter with one of Chivayo’s alleged mistresses hours before the recently held Miss World Zimbabwe pageant. “Whoever told you that this life and lifestyle was gold and glittery lied to you. I am telling you my pre-Miss Zimbabwe drama. “Marrying a crazy psychopath who thinks this is cute. I know I will have people that will be coming at me like (saying) ‘no do not talk about your marital wars online’. Listen, this stuff is real. “Women are out here being oppressed in this thing called marriage,” she ranted. Madzikanda added that Chivayo’s sisters were advising her to take the high road and forgive her husband, something that did not go well with her. “On top of that his sisters are here sending me voice notes about how I need to seek forgiveness and be a better person. I catch all types of feelings because I have been through enough. I have been through social humiliation. I have been through the problems in this relationship,” said Madzikanda. Upon hearing this, Chivayo’s sister, Moe, who has publicly confirmed that she was against the marriage from the beginning added salt to the wound. “You do not love that man. You wanted the lifestyle and it kills you that he did not live up to what you expected. At the end of the day, dust yourself up and go to parties because you are not heartbroken. “You are financially disappointed but be glad he bought you that Land Rover and sends petty EcoCash to your phone,’’ said Moe. Whilst playing Jah Signal’s current hit “Shinga Muroora” in the background, Moe continued to bash her sister in-law and accused her of making things up.